Travel is full of surprises, but some are not so welcome. The airline that suddenly adds a surcharge because you're buying your ticket with a credit card, the $50 fee when you board a budget airline with more than the seven kilogram limit for carry-ons, the 101 ways car hire operators have of parting you from your cash – these are fees you don't see coming, the classic "gotcha!" ploy. For the operator they work like a charm because they're sneaky charges, hidden from view until the very last moment. When you front up to the hotel check-in desk or when you're at the boarding gate you really don't have too many choices. Forewarned is forearmed. 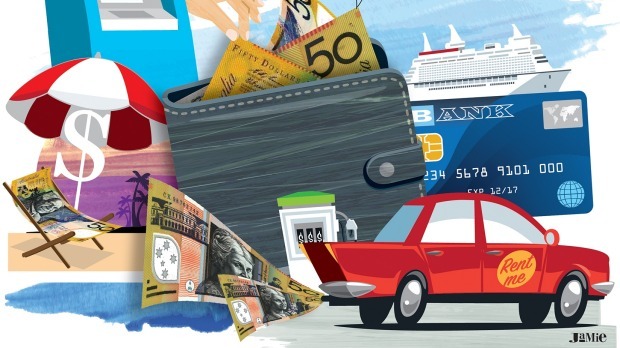 Here are a few of the unexpected travel swindles you need to watch out for. Most international airlines let you take a set of hand dumbbells in your checked luggage. Flying economy with Cathay Pacific the baggage allowance is a whopping 30 kilos, up to 35 kilos with some economy fares aboard Emirates. However, if you need to take a domestic flight at your destination you might find the checked-in baggage allowance is a paltry 15 kilos, with hefty surcharges for every kilo over. Find a hotel, a friend or a baggage service that will stow your excess gear for collection down the track, or check in for your domestic flight wearing a photographer's vest with multiple packed-out pockets – no rule against it. You front up to the airline check-in desk, you're under the modest seven kilograms limit for your main carry-on bag, but wait. You've just been asked to put your other smaller bag on the scales. When you do you're over the limit and now they want to charge you $50. 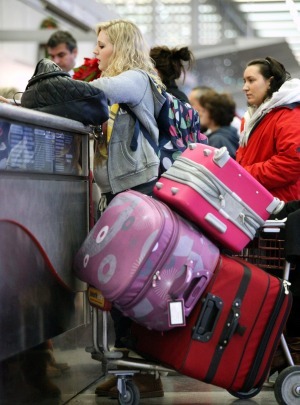 All airlines allow you to take a small bag along with your main carry-on, which might be a handbag or a laptop bag, but fly El Cheapo Airlines and you might get a nasty shock at the check-in desk. 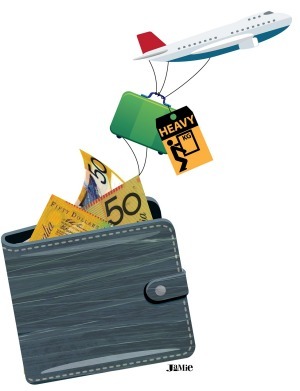 Just one of the ways that low cost carriers gouge a little more revenue to supplement their fares, and they know there are plenty of passengers travelling with more than their allocated seven kilograms. Make sure you're under, or pay the extra cost and travel with a decent airline. 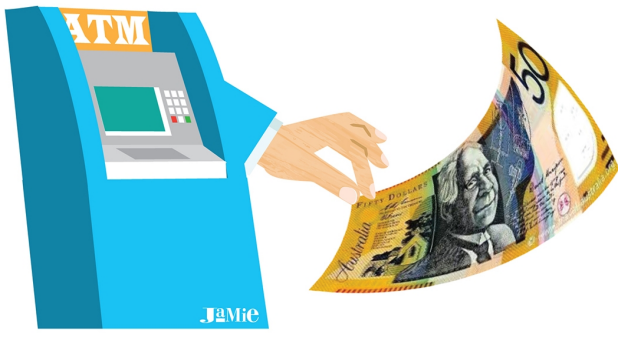 Use your regular card to withdraw from an ATM overseas and chances are your bank will slug you with a $5 fee. That's on top of whatever the local ATM operator will charge, plus a 3 per cent currency conversion fee. Travel money cards let you dodge the $5 fee but they have other ways to leach value from your travel dollars. Although you might still pay the ATM fees, the gold standard is a card with no currency conversion fees such as the Citibank Visa Debit Card or 28 Degrees MasterCard. Make fewer withdrawals, but only carry what you need for the day when you're out and about. "And would you like that charged in Australian dollars?" Sounds like you're on a deal, right? You're buying the latest techno-gadget or fashion item duty free and you know exactly how much it costs in "real" money. However, by electing to pay in Aussie dollars you are invoking a Dynamic Currency Conversion, a fancy-schmancy name for a grubby exchange rate that will cost you up to 5 per cent more than if you elect to pay in local currency, to be split between the merchant and the DCC facilitator. Dazzle the salesperson with your finest smile and decline. 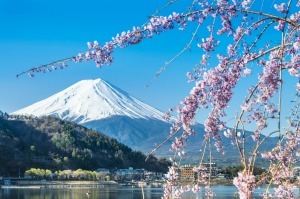 If you buy Japanese yen or Russian roubles for your trip, the seller might tell you what a great deal you're getting because they don't charge a commission on foreign exchange. They don't need to because they've already manipulated the exchange rate to give you an artificially low value for your Aussie dollars. The true rate of exchange is the interbank rate, which you can check on the Oanda website. You won't get the interbank rate on any foreign exchange you buy but you should get within about 2 per cent. Buy foreign currency at the airport from which you depart and you will feel pocket pain – the rates are atrocious. Buy any foreign currency you need at your destination and you'll usually get a better rate. Better still, get whatever foreign cash you need from an ATM using a card which charges no currency conversion fees. You've paid for your hotel room upfront, you're checking out and here comes a whopping amount for taxes and charges – on top of a bill you already paid. In Bali, taxes and charges will add 21 per cent to your hotel bill. In Thailand, it's 17 per cent. In Dubai, it's 20 per cent, 15 per cent in China and about the same in New York City. This is not exactly a hidden charge. Full disclosure happens when you make your booking although it's easily overlooked, especially when you're congratulating yourself on a sweet deal. Choose a hotel where the rate includes taxes and charges – plenty do. However, any meals, massages or drinks you consume within your hotel will attract the same taxes and charges. If there's an opportunity to buy the same goods and services outside your hotel you might dodge the tax and service charge bullet. Street food and beach massages, for example. Another check-in desk swindle. The receptionist smiles sweetly and tells you that a daily resort fee will be added to your hotel bill. "What for?" you ask. For the use of adult pool floats, for the use of a poolside USB charger, for discount shopping vouchers, for your room key and anything else they can think of, although rarely will they tell you it covers the use of the bed. At the Sheraton Waikiki, for example, resort fees will add $US34.55 per room per day. 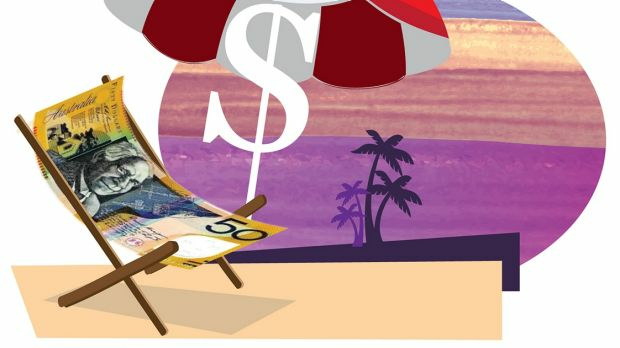 Hotels love resort fees because many clients now book through online travel agents, which extract a hefty commission, around 20 per cent. A resort fee enables hotels to offer a lower rate and the fee goes straight into the hotel's pocket. Resort fees are common at hotels in Las Vegas, Hawaii and Florida, and the hotel website as well as Booking.com and Expedia should tell you if a resort fee applies. Note that resort fees commonly include free Wi-Fi. Those that don't charge a resort fee will probably add that to your bill. You've organised your car hire, been quoted a price and the car hire agency insists you pay in advance for a full tank of petrol. You can return it near empty but there's no credit for any fuel left in the tank. Since it's almost impossible to return your vehicle with the fuel warning light glowing, the operator gets to sell the leftover fuel which you've paid for to the next customer. Hire from an operator that lets you drive away on a full tank and return it the same way. "We've run out of your selected vehicle but we've upgraded you to something much better." Thanks, but you're also wanting to gouge me for an extra $15 per day for the so-called privilege. Stand your ground. You're entitled to the car you booked, at the price you agreed to pay. If they can't provide that vehicle, that's their problem, not yours. Have a copy of the booking when you front up at the car hire desk. A month after you return home, your car hire operator debits your credit card for a fender-bender. No proof, no images, just an extortionate charge. If you query the charge the operator simply says it happened on your watch. If you did happen to ding it, the charges are way out of proportion to the damage caused. Document everything. Record all damage when you take possession of your vehicle. Walk around the vehicle, take photos, better still a video, and make sure any records come with a time and date stamp. Repeat the same performance when you return the vehicle. Have it inspected if possible and any damage noted. Consumer protection legislation may apply in the country of hire but first recourse should be to the car hire operator. 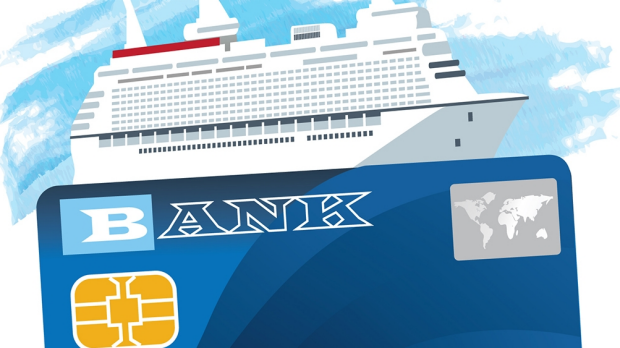 Many cruise lines add a daily gratuity to your bill as a matter of course. Around $15-20 per person per day is typical. The rationale is that many staff who work in the background, the bottle washers and deck sweepers for example, are unlikely to benefit from tips that come the way of waiters and housekeepers. You can opt out by advising the purser's office at the start of the voyage, but most of those who serve and slave on cruise ships are not well paid by Australian standards. An Aussie traveller in New Zealand was billed $12,000 after his son watched a movie on his smartphone using global roaming. A UK mother came home to a £20,000 mobile phone bill after posting images of her Turkish holiday to Facebook. Use your smartphone in global roaming mode overseas as you would at home and without a data pack from your telco, a prepaid worldwide SIM card or a local SIM card and disaster will surely follow. When a volcano blew its top in Indonesia, many Australian travellers were stranded in Bali when their airlines grounded flights to the island. One Aussie checked back into his resort to await the resumption of flights, not overly concerned when the room rate zoomed skywards from special-deal to rack rate since he'd signed up for the airline's travel insurance. Flights resumed, he paid the hotel bill and put in an insurance claim but the airline disallowed it, saying the policy does not cover travel disruptions or rebooking costs. Out of pocket by about $8000. Read the product disclosure statement that comes with your policy. Thousands of travellers get caught out for not validating their ticket before travelling by train in Italy. Most train tickets are sold without a date. Therefore they can be used again and again, and so the validation requirement. Train ticket inspectors are well aware that many travellers are unaware, and thus they target them. The fine is anything from €30 to €50, on the spot. Honeymooners Chelsea and Kevin Schapiro from the US arrived at Narita Airport late at night and decided to take a taxi to their hotel in Tokyo's Shibuya. The 60 kilometre ride took over an hour and when they got to their hotel, the meter finally stopped at JPY22,600, more than $270. Tips can add up over the course of a holiday. Someone once tipped a toilet attendant in Bali with a 100,000 rupiah note. That's about $10, and exceedingly generous. A 10,000 rupiah note would have made the toilet attendant's day. In her defence, she said: "Well I've only just arrived and I've no idea what the currency is worth." What foreign currency is worth in "real" money can be tricky, but use the calculator on your phone, or carry a cheat sheet. An extra zero makes a world of difference. Bottled water is essential in some places, but buy it from a small shop in a high-traffic tourist area and you might pay several times the cost of the same bottle bought from a supermarket. 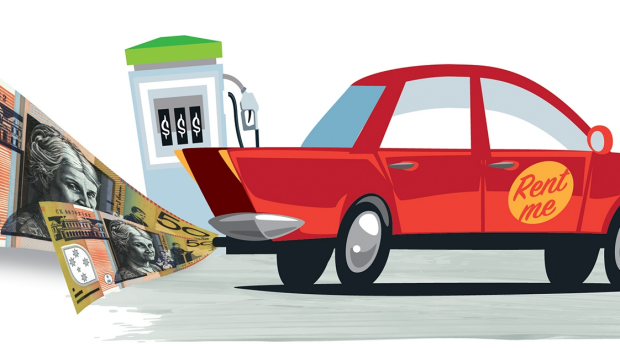 Diesel fuel is slightly cheaper than petrol in most European countries, and a diesel-powered vehicle should give you better mileage. Most restaurants charge more for dinner than they do for lunch, even when it's the same dish. Eat your main meal at lunchtime and go light for dinner and you'll save. If your tour guide takes you on a shopping expedition there's a good chance they will receive a commission on anything you buy. Shop alone, you'll usually pay less. While you might track down the best hotel prices on an online travel agent's website, always call the hotel and ask if they can offer a better deal. New hotels or those that have just taken the wraps off after a major overhaul will usually sell their rooms at big discounts while they claw back business. To track down these bargain rooms, just Google your destination, "new hotels in …"
Guidebooks, either paper or digital versions, are a small investment but they can point you toward money-saver strategies that will repay whatever they cost you many times over. You can hop aboard a cruise for less than $100 per day if you're prepared to wait for late-breaking special deals and travel at short notice. Go to the websites of major operators such as Royal Caribbean and Princess Cruises and sign up for special offers. Sign up for your hotel's loyalty program. It costs nothing, takes a couple of minutes and you'll usually get perks from the get-go, which might be free Wi-Fi, complimentary breakfasts and other meal deals, spa credits and late check-out.